Abstract galaxy with white star dust on black background. Digital cosmic universe with white shining stars, monochrome. Abstract, purple glitter swirl of particles formed in big circle. Space star dust flying and forming a ring on black background. Abstract, green glitter swirl of particles formed in big circle. Space star dust flying and forming a ring on black background. Gold glittering star dust wave of trail sparkling particles on black. A 3D representation of the Sombrero galaxy or star cluster. Stars pass by the viewer as clouds of gas and dust rotate against a dense core of very bright stars. Crescent moon and star Religious symbol Dust Particles Animation with Rays. Seamlessly rotating stars and violet nebula Glowing stars and violet gas and dust rotate around a central axis in this looping animation. 4K UHD. Seamlessly rotating stars and red nebula. 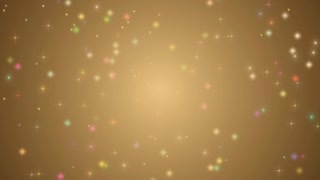 Glowing stars and red gas and dust rotate around a central axis in this looping animation. 4K UHD. Cinematic green moving particles with triangle shapes floating. Universe dust with stars on black background. Abstract motion of particles in 4K. Seamless loop. Space background. Camera is flying through the stars, lights and particles. Dust flies everywhere. Cinematic blue moving particles with triangle shapes floating. Universe dust with stars on black background. Abstract motion of particles in 4K. Seamless loop. Pink glowing particles with triangle shapes floating. Universe dust with stars on black background. Abstract motion of particles in 4K. Seamless loop.